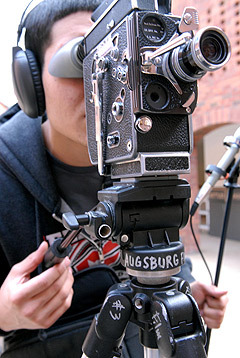 The ACTC Student Film Festival, now entering its second year, features a selection of works by students and recent graduates from the five Associated Colleges of the Twin Cities (ACTC) member institutions: Augsburg College, Hamline University, Macalester College, St. Catherine University, and the University of St. Thomas. The festival will screen a total of 16 works chosen from submissions that included more than “60 short films ranging from traditional narrative and documentary films to short shorts, experimental, and avant-garde work,” according to the festival web page. The ACTC Student Film Festival is considered a celebration of students’ digital storytelling abilities. Entry submissions were created during the 2011-12 academic year through a variety of classes and activities at the ACTC institutions, according to Wesley Ellenwood, Augsburg College communication studies instructor. Ellenwood, who serves on the ACTC Student Film Festival committee, said Augsburg students submitted work from virtually every class offered in the College’s film studies program. Excitement for the festival is spurred, in part, through the event’s ability to share each filmmaker’s short with an audience that reaches far beyond the student’s professors and peers. Five film festival exhibitors will be recognized for outstanding achievement at a reception and award presentation held immediately following the screenings. Stephan Clark, Augsburg College assistant professor of English, will serve on the jury that selects the distinguished award winners.